Summary: Claire Takata has never known much about her father, who passed away when she was a little girl. But on the anniversary of his death, not long before her seventeenth birthday, she finds a mysterious letter from her deceased father, addressed to her stepfather. Claire never even knew that they had met. Review: I knew from the moment I read the summary that I needed to get my hands on Ink and Ashes, and I’m pleased to say that Valynne E. Maetani’s debut novel did not disappoint me. Recommendation: Get it soon, especially if you like stories about uncovering family secrets. While there are a few flaws in Maetani’s debut, Ink and Ashes is a fun, compelling mystery. The book balances its genres well and is anchored by an inquisitive and determined heroine. 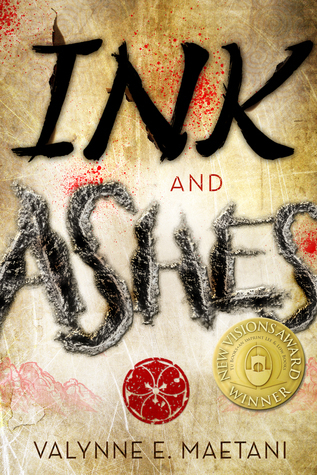 Tu Books has published some amazing novels, and Ink and Ashes is one of them. INK AND ASHES is next on my reading list!